Storage units are the ideal environment in which to place those old belongings you can’t quite bear to part with. With properties becoming smaller and more of us living in condos, many are now selecting self-storage units to ensure their property is safe over time. But to select the right storage facility for your precious items, it’s important that you take a range of elements into full consideration. Will you require access to your items on short notice? If so, you’ll need to choose a facility that can offer you 24-hour access. Many of the leading local facilities now present storage unit renters with their own private access card, allowing them entry to their unit throughout the day. While the storage facility might offer basic coverage against instances of theft of fires, you may find you require additional insurance to protect items such as jewelry and collectibles. Items with a significant monetary value require comprehensive insurance coverage while in the storage facility, so it’s important to work with the facility owner directly to discuss potential insurance options. Each element of the storage process must be addressed within the contract provided by the facility. The contact should cover elements such as storage as well as potential costs that might be incurred through the use of the facility. In addition, the contract should cover the duration of use for the storage facilities. The contact should also include all contact information so that you have a way to get in touch with the facility owners if you encounter an issue. Does the facility have a comprehensive security infrastructure in place? Working with the facility owner, discuss the facility’s security system and whether they have on-site teams monitoring the system throughout the day and night. Also look at the facility’s track record regarding break-ins, fires and other security issues. Most storage facilities offer several sizes of storage area from which you can select. 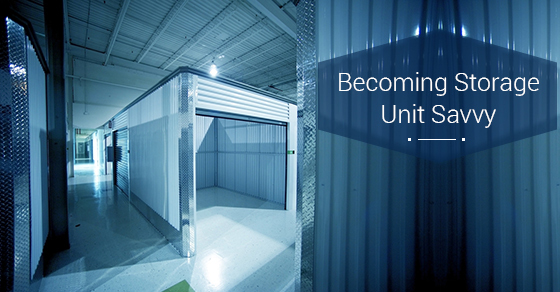 It’s important that the company is able to offer you a large enough space to store all belongings. Compare the sizes with your storage needs when assessing the facility. By reviewing and implementing the tips within this article, you can find a seamless fit for your long-term storage needs. To learn more, speak with our expert team today!